KIDNAPPED—-the fourth rendering of Robert Louis Stevenson’s classic showed up in 1971. There are enough beautiful moments to warrant a viewing, but you’ll likely find yourself genuinely disappointed in the overall handling. 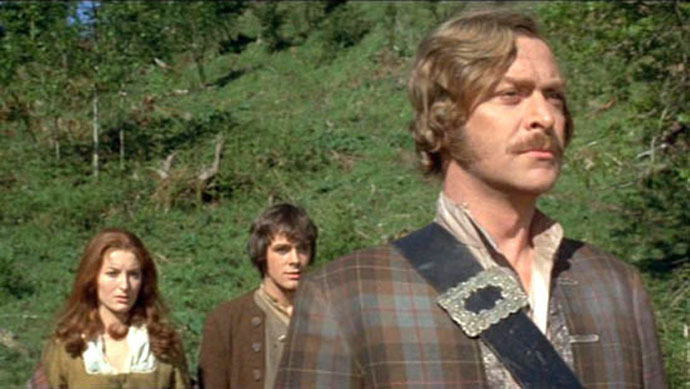 Michael Caine’s swaggering hero has just the right amount of humor, craft and sincerity; it’s an excellent performance that props up the whole picture. 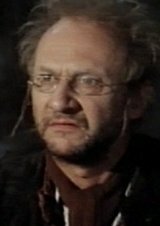 Donald Pleasence is great as a murderous old miser, and it’s always nice to see Gordon Jackson and Jack Watson. Lawrence Douglas is merely okay as the tales catalyst, not very compelling. Vivien Heilbron draws a forgettable blank. Roy Budd’s score is effective, and the scenery of the Scottish Highlands is striking. The color is sharp, but the camera (from Paul Beeson) does a lot of those zoom shots favored in the 70s that were totally out-of-synch with period films. The script is spare, the editing is very choppy, the transitions jumpy. Most of what’s wrong with this rests on Delbert Mann’s one-dimensional directing: the scenario has lots of action, but his staging is none too exciting. Limping into 124th place for the year, tt made but a pittance, $1,060,000, and lore has it the production ran into such financial difficulty that the cast wasn’t paid! Catch this for Caine and Scotland. With Trevor Howard, Jack Hawkins, Freddie Jones and Peter Jeffrey. 107 minutes.